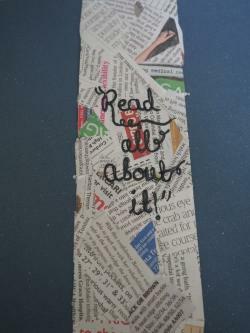 I would like to receive occasional information and updates from The Bookmark Project and jumblebee. 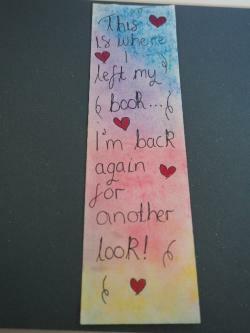 The Bookmark Project is back! In 2019 we hope to raise as much money if not more for Katiyo Primary School in Zimbabwe by auctioning beautiful bookmarks doodled by authors, illustrators, actors, sports people and a range of other people in the public eye. 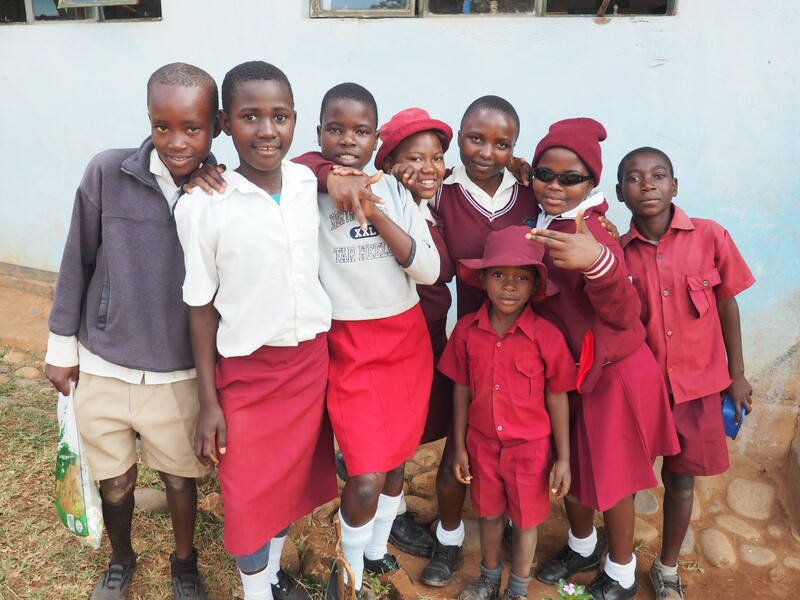 All the profits from the auction go to support Katiyo Primary School, the auction last year raised over £3000 and helped us to bring electricity to all the on site teacher houses meaning that staff don't need to plan and mark by candle light. This project is almost complete, we are now looking to raise the funds needed to build a classroom for the nursery children who currently have their lessons on the dirt floor of the local church. The local community will make all the bricks for the project and build the classroom but need our support to purchase other materials such as doors, windows, roofing supplies, cement etc. 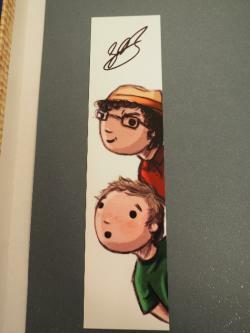 All our bookmarks have a low starting bid meaning we hope that everyone feels able to bid. We can post bookmarks to anywhere in the world. 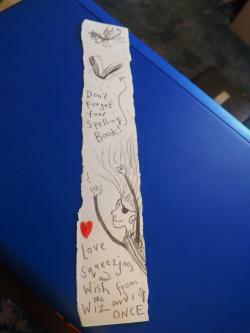 You are bidding on a unique bookmark drawn by award winning author and illustrator Cressida Cowell, author of the How to train your dragon series. 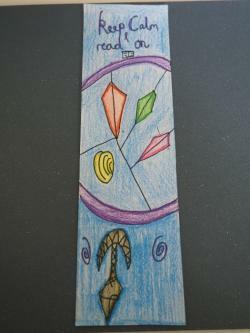 This bookmark has been donated by Cressida to the Bookmark Project to raise funds to support Katiyo Primary School in Zimbabwe. There will be a postage and packaging charge of £3 added to the cost of this item to cover postage to you by Royal Mail signed for service, providing compensation up to £50 to cover your bookmark. You are bidding on a unique bookmark doodled for the Bookmark Project by Strictly Come Dancing judge, theatre actor and choreographer Craig Revel Horwood. 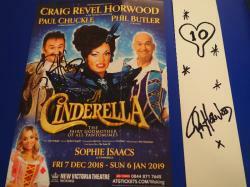 Also included in this lot is a signed flyer from Craig's 2018-19 pantomime performance. There is a crease down the length of the flyer from where it was folded by Craig to fit in the envelope. The money raised from the auction of this bookmark will go to support projects at Katiyo Primary School in Zimbabwe, where we are hoping to build a nursery classroom. 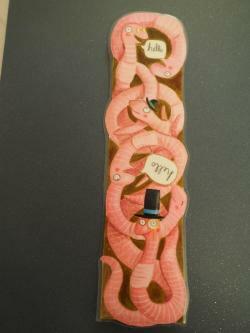 You are bidding on a unique bookmark created by illustrator Eve Coy and donated to the Bookmark Project 2019. 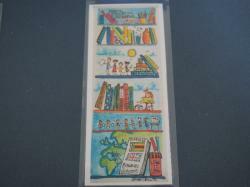 The money raised from the auction of this bookmark will go to support projects at Katiyo Primary School in Zimbabwe. 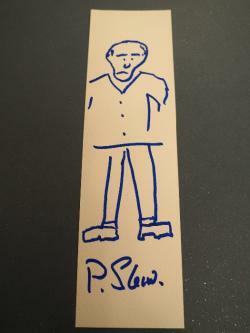 You are bidding on a unique bookmark doodled by Sir Patrick Stewart, actor. Patrick is famous for his many film and television roles including Captain Jean-Luc Picard in the Star Trek: The next generation franchise and Professor Xavier in X-Men. 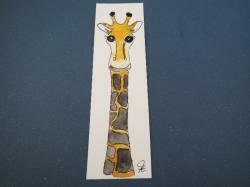 Patrick has kindly donated this bookmark to the Bookmark Project to raise money for Katiyo Primary School in Zimbabwe. 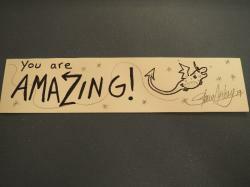 You are bidding on a unique bookmark doodled by actress Catherine Russell. Catherine plays Dr Serena Campbell in the BBC drama Holby City and donated to the Bookmark Project to raise funds for Katiyo Primary School in Zimbabwe. 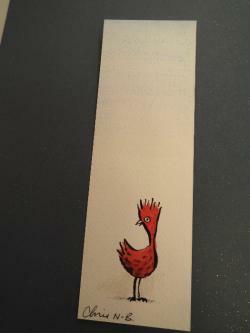 You are bidding on a unique bookmark designed by author Jennifer Killick. 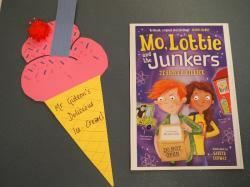 Jennifer writes children's books and her books include the Alex Sparrow series and Mo, Lottie and the Junkers. 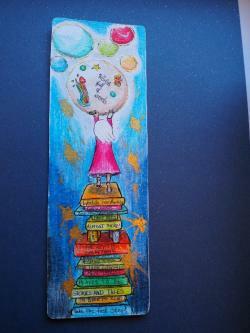 She has donated this fab bookmark to the Bookmark Project to raise funds for Katiyo Primary School in Zimbabwe. You are bidding on a unique bookmark doodled by comedian and presenter Susan Calman and donated to the Bookmark Project to raise funds for Katiyo Primary School in Zimbabwe. 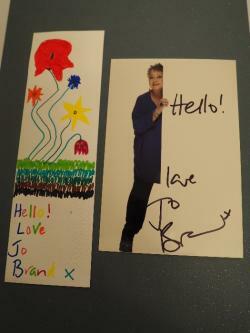 You are bidding on a unique bookmark doodled by comedian and presenter Jo Brand and donated to the Bookmark Project to raise funds for Katiyo Primary School in Zimbabwe. Jo currently presents The Great British Bake Off: An Extra Slice. 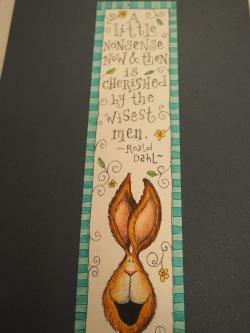 You are bidding on a unique bookmark designed by illustrator Jo Renfro and featuring a Roald Dahl quote. 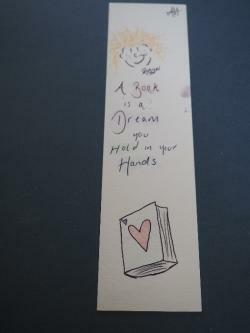 Jo has donated her bookmark to the Bookmark Project to raise funds for Katiyo Primary School in Zimbabwe. 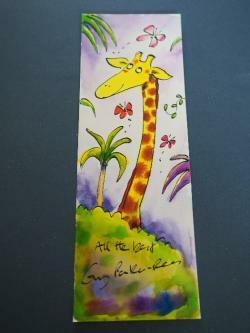 You are bidding on a unique bookmark created by author and illustrator Jan Fearnley and donated to the Bookmark Project to raise funds for Katiyo Primary School in Zimbabwe. 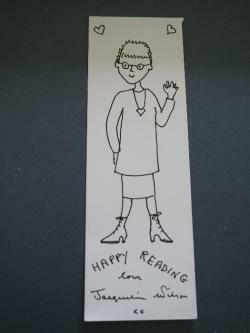 You are bidding on a unique bookmark doodled by children's author and former children's laureate Jacqueline Wilson and donated to the Bookmark Project to raise funds for Katiyo Primary School in Zimbabwe where we are hoping to build a nursery classroom. You are bidding on an autographed photo of Game of Thrones actor Kit Harrington, kindly donated to the Bookmark Project to raise money to build a nursery classroom at Katiyo Primary School in Zimbabwe. 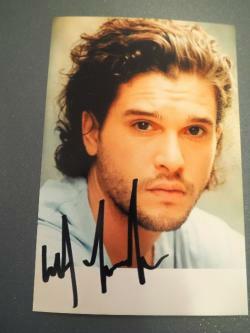 You are bidding on an autographed photograph of Game of Thrones actor Kit Harrington, kindly donated by Kit to the Bookmark Project to raise funds to build a nursery classroom at Katiyo Primary School in Zimbabwe. 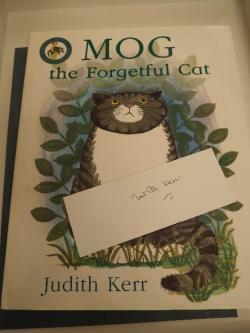 You are bidding on a hardback edition of Mog written and illustrated by Judith Kerr and accompanied by a plain bookmark with Judith's autograph on it. There is a small tear to the back of the dust jacket of the book and this was there when the book arrived in the post from Judith. The book and autograph have been kindly donated by Judith to the Bookmark Project to raise funds for Katiyo Primary School in Zimbabwe where we hope to build a nursery classroom. There will be a postage and packaging charge of £5 added to the cost of this item to cover postage to you by Royal Mail signed for service, providing compensation up to £50 to cover your bookmark. 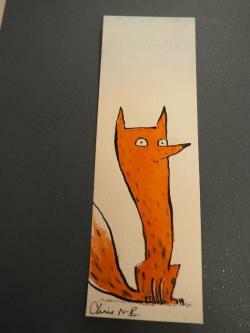 You are bidding on a unique bookmark created for the Bookmark Project by illustrator Ciara Flood. The money raised from the auction of this bookmark will go to support Katiyo Primary School in Zimbabwe where we hope to build a nursery classroom. 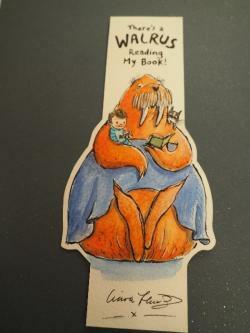 You are bidding on a unique bookmark created by author and illustrator Chris Naylor-Ballesteros and featuring a character from his new book The Suitcase. 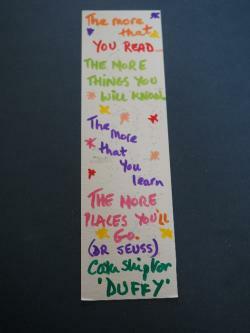 Chris has kindly donated this bookmark to the Bookmark Project to raise funds for Katiyo Primary School in Zimbabwe where we hope to build a nursery classroom. You are bidding on an autographed photograph of Mary Poppins Returns Actress Emily Blunt and donated by Emily to the Bookmark Project to raise funds for Katiyo Primary School in Zimbabwe where we hope to build a nursery classroom. There will be a postage and packaging charge of £3 added to the cost of this item to cover postage to you by Royal Mail signed for service, providing compensation up to £50 to cover your photo. 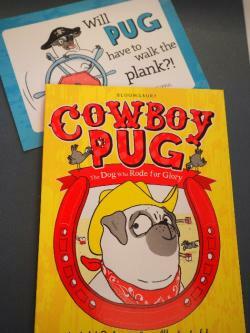 You are bidding on a signed copy of Cowboy Pug written by children's author Laura James and donated by Laura to the Bookmark Project. The money raised from the auction of this book will go to support projects at Katiyo Primary School in Zimbabwe where we hope among other projects to build a nursery classroom. There will be a postage and packaging charge of £3 added to the cost of this item to cover postage to you by Royal Mail signed for service, providing compensation up to £50 to cover your book. 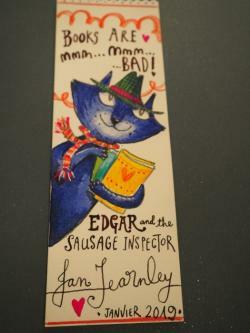 You are bidding on a unique bookmark created by illustrator Derry Sketcher and donated to the Bookmark Project. The money raised from the auction of this bookmark will go to support Katiyo Primary School in Zimbabwe where we hope along with other projects to build a nursery classroom. 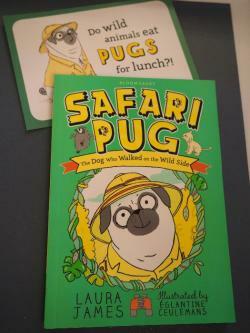 You are bidding on a signed copy of Safari Pug written by Laura James and donated by Laura to the Bookmark Project. The money raised from the auction of this book will go to support projects at Katiyo Primary School in Zimbabwe including the building of a nursery classroom. You are bidding on a unique bookmark doodled by author and illustrator Steve Antony and donated by Steve to the Bookmark Project to raise valuable funds for Katiyo Primary School in Zimbabwe. The money raised will be used to support a number of projects including we hope the building of a nursery classroom. 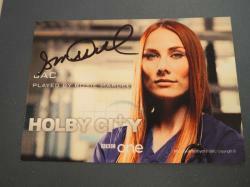 You are bidding on an autographed photo card of Rosie Marcel. 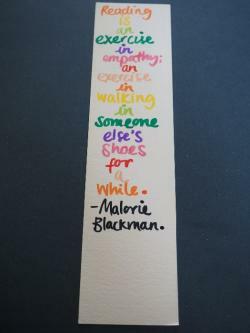 Rosie plays surgeon Jac Naylor on the BBC One drama Holby City and donated the card to the Bookmark Project. The money raised from the sale of this card will go to support Katiyo Primary School in Zimbabwe. There will be a postage and packaging charge of £3 added to the cost of this item to cover postage to you by Royal Mail signed for service, providing compensation up to £50 to cover your card. You are bidding on a unique bookmark doodled by comedian and TV presenter Frank Skinner and donated to the Bookmark Project to raise funds for Katiyo Primary School in Zimbabwe. 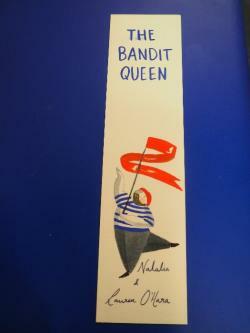 You are bidding on a unique bookmark created by author Nicola Davies and donated to the Bookmark Project to raise funds for Katiyo Primary School in Zimbabwe. 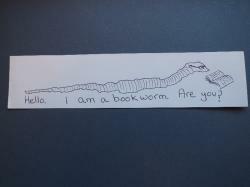 You are bidding on a unique bookmark doodled by Doctor Who companion Mandip Gill and donated to the Bookmark Project to raise funds for Katiyo Primary School in Zimbabwe. You are bidding on a unique bookmark doodled by children's author Tom Palmer and donated to the Bookmark Project to raise funds for Katiyo Primary School in Zimbabwe. 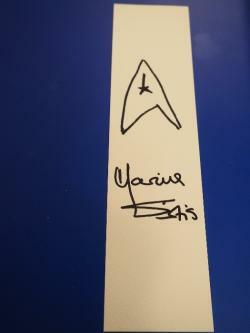 You are bidding on a unique bookmark doodled by Star Trek: The Next Generation actress Marina Sirtis and donated to the Bookmark Project to raise funds for Katiyo Primary School in Zimbabwe. You are bidding on an autographed photo card of actor and comedian Rowan Atkinson, donated to the Bookmark Project by Rowan to raise funds for Katiyo Primary School in Zimbabwe. You are bidding on a unique bookmark created by the O'Hara sisters, the sisters are both talented illustrators and have donated their bookmark to the Bookmark Project to raise valuable funds for Katiyo Primary School in Zimbabwe. 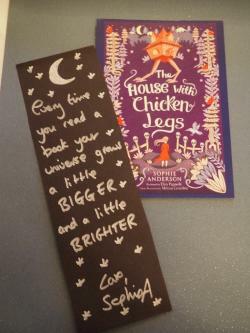 You are bidding on a unique bookmark created by author Sophie Anderson, whose novels include "The house with chicken legs." Sophie has kindly donated her bookmark to the Bookmark Project to raise valuable funds for Katiyo Primary School in Zimbabwe where we are hoping to build a nursery classroom. 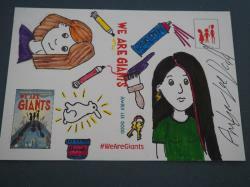 You are bidding on a unique bookmark created by author, illustrator and creator of the Tom Gates series Liz Pichon and donated to the Bookmark Project to raise funds for Katiyo Primary School in Zimbabwe where we hope to build a nursery classroom. 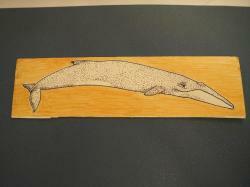 You are bidding on a unique bookmark created from a wooden ruler by poet and author A.F.Harrold and donated to the Bookmark Project to raise money for Katiyo Primary School in Zimbabwe. 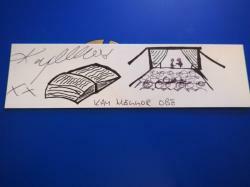 You are bidding on a unique bookmark doodled by writer, director and producer Kay Mellor and donated to the Bookmark Project to raise valuable funds for Katiyo Primary School in Zimbabwe. You are bidding on an autographed photo card of Sheridan Smith, signed by Sheridan and donated to the Bookmark Project to raise funds for Katiyo Primary School in Zimbabwe. 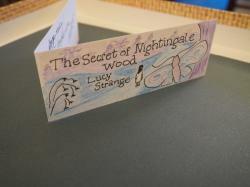 You are bidding on a unique folding bookmark created by author Lucy Strange and featuring two of her books - The secrets of Nightingale Woods and Castle by the sea. 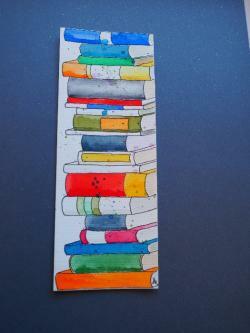 The bookmark has been donated to the Bookmark Project to raise funds for Katiyo Primary School in Zimbabwe. 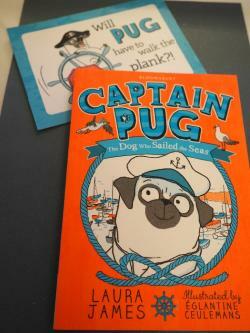 You are bidding on a signed copy of the book Captain Pug by author Laura James and donated by Laura to the Bookmark Project to raise funds for Katiyo Primary School in Zimbabwe. 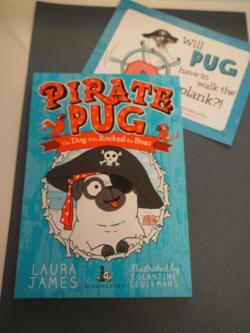 You are bidding on a signed copy of the novel Pirate Pug written by Laura James and donated by Laura to the Bookmark Project to raise funds for Katiyo Primary School in ZImbabwe. 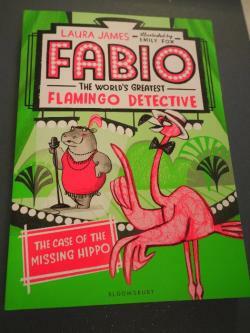 You are bidding on a signed copy of Fabio the World's Greatest Flamingo Detective by Laura James, donated to the Bookmark Project by Laura. The money raised from the auction of this book will go to support projects at Katiyo Primary School in Zimbabwe. 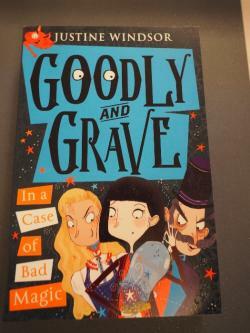 You are bidding on a signed copy of the novel Goodly and Grave by Justine WIndsor. The auction of this book will raise funds for Katiyo Primary School in Zimbabwe where we hope to build a nursery classroom. 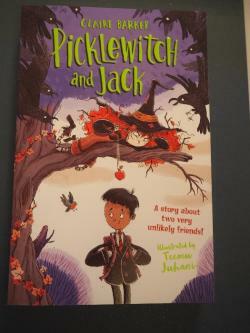 You are bidding on a new copy of Picklewitch and Jack by Claire Barker. The money raised from the auction of this book will go to support projects at Katiyo Primary School in ZImbabwe. There will be a postage and packaging charge of £3 added to the cost of this item to cover postage to you by Royal Mail signed for service, providing compensation up to £50 to cover your item. You are bidding on a unique bookmark doodled by actress Brenda Blethyn and donated to the Bookmark Project to raise funds for Katiyo Primary School in Zimbabwe. 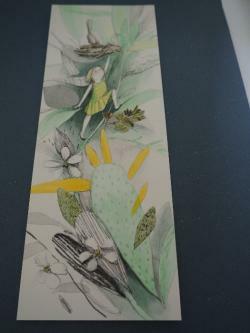 You are bidding on a unique bookmark created by illustrator Rebecca Henry and donated to the Bookmark Project to raise valuable funds for Katiyo Primary School in Zimbabwe. 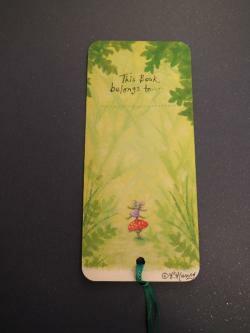 You are bidding on a unique bookmark created by author Swapna Haddow and flying into the Bookmark Project all the way from New Zealand. 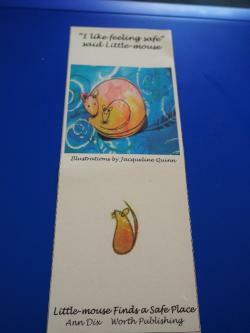 The bookmark has been donated to the Bookmark Project by Swapna to raise funds for Katiyo Primary School in Zimbabwe. You are bidding on a unique bookmark created by Ann Dix and donated to the Bookmark Project to raise funds for Katiyo Primary School in Zimbabwe. 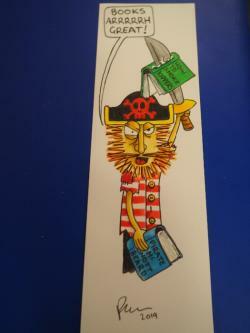 You are bidding on a unique bookmark designed by illustrator Paul Whitfield and donated to the Bookmark Project to raise funds for Katiyo Primary School in Zimbabwe. You are bidding on a unique bookmark doodled by actor Sir Ian McKellen and donated to the Bookmark Project to raise funds for Katiyo Primary School in Zimbabwe. 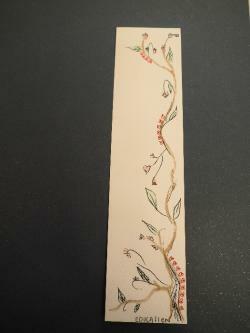 You are bidding on a unique bookmark created for the Bookmark Project by artist Karin from Germany. 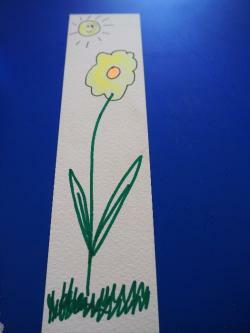 Karin has donated her beautiful bookmark to the Bookmark Project to raise money for Katiyo Primary School in Zimbabwe. 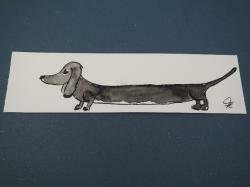 You are bidding on a unique bookmark created for the Bookmark Project by illustrator Gareth Conway and donated to the Bookmark Project to raise money for Katiyo Primary School in Zimbabwe. 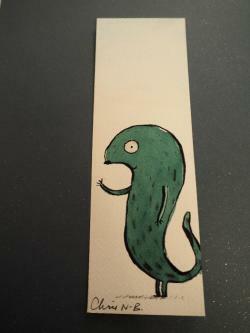 You are bidding on a unique bookmark created for the Bookmark Project by illustrator Matt Robertson. 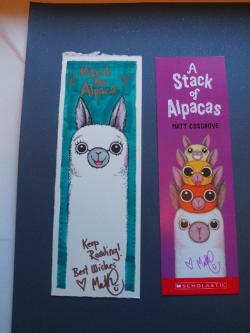 The money raised from the auction of the bookmark will go to support projects at Katiyo Primary School in Zimbabwe. 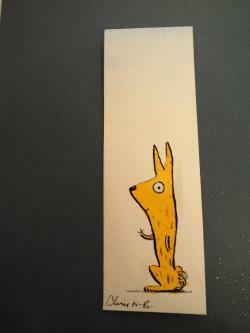 You are bidding on a unique bookmark created for the Bookmark Project by author and illustrator Matt Cosgrove and sent to the Bookmark Project all the way from Australia. 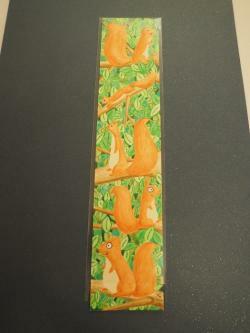 The money raised from the auction of this bookmark will go to support projects at Katiyo Primary School in Zimbabwe. 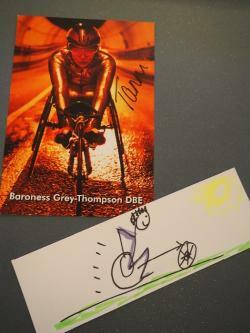 You are bidding on a unique bookmark created by Baroness Tanni Grey-Thompson and donated to the Bookmark Project to raise money for Katiyo Primary School in Zimbabwe. 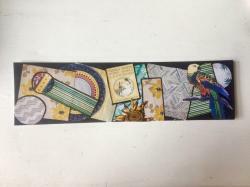 You are bidding on a unique bookmark created by artist Stefanie Nagele and donated to the Bookmark Project to raise money for Katiyo Primary School in Zimbabwe. You are bidding on a signed bookmark, signed by author GR Dix and donated to the Bookmark Project to raise money for Katiyo Primary School in Zimbabwe. 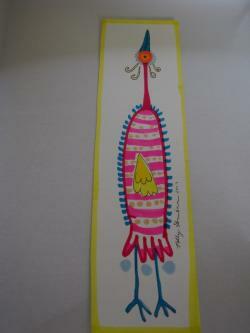 You are bidding on a unique bookmark created by author and illustrator Polly Dunbar and donated to the Bookmark Project to raise money for Katiyo Primary School in Zimbabwe. There is a postage charge of £3 which will be added to the winning bid on this item to allow us to send you your bookmark safely via Royal Mail signed for. You are bidding on a postcard doodled by author Amber Lee Dodd and donated to the Bookmark Project to raise funds for Katiyo Primary School in Zimbabwe where we are trying to build a nursery classroom. 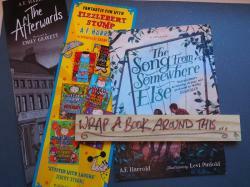 There will be a £3 charge to cover the postage and packaging of your bookmark by Royal Mail signed for. 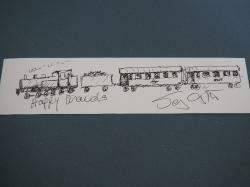 You are bidding on a unique bookmark doodled by Railway Children and Call the Midwife actress Jenny Agutter. 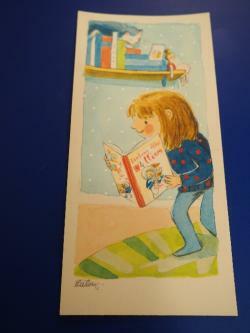 This bookmark has been donated to the Bookmark Project by Jenny to raise funds for Katiyo Primary School in Zimbabwe. A £3 charge is added to the winning bid to cover postage and packaging. 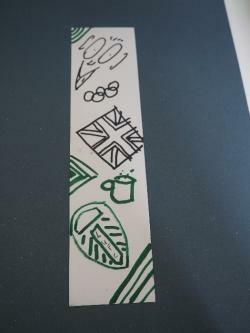 You are bidding on a unique bookmark created by triathlete and Olympian Alistair Brownlee, donated to The Bookmark Project to raise money for Katiyo Primary School in Zimbabwe. A £3 postage and packing charge is added to the winning bid on this item. 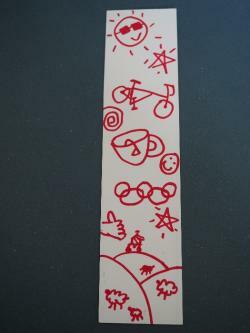 You are bidding on a unique bookmark created by Triathlete and Olympian Jonny Brownlee, donated to The Bookmark Project by Jonny to raise money for Katiyo Primary School in Zimbabwe. A £3 charge is added to the winning bid on this item to cover the postage and packaging of your bookmark, including Royal Mail signed for postage providing insurance up to £50 on your item. 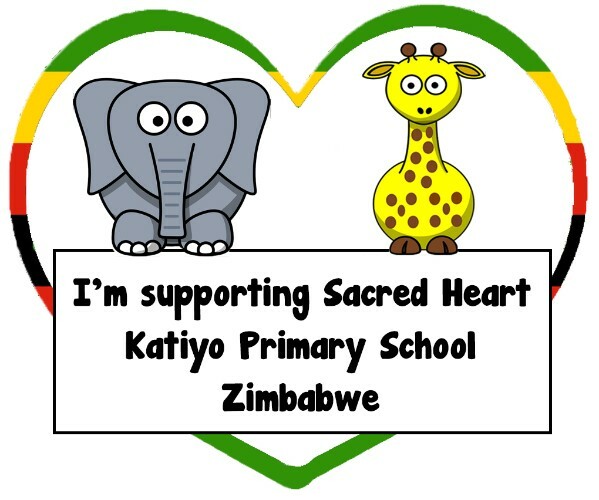 You are bidding on a laminated bookmark designed by artist Sussi Louise Smith who has given her permission for copies to be printed and sold to raise funds for Katiyo Primary School in Zimbabwe. A £3 charge is added to the winning bid on this item to cover Royal Mail Signed for postage providing insurance up to £50 on your bookmark. 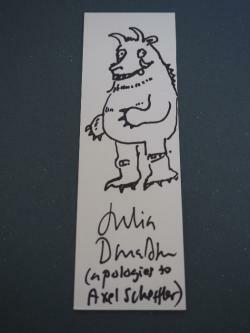 You are bidding on a unique bookmark created by author Julia Donaldson and donated to the Bookmark Project to raise money for Katiyo Primary School in Zimbabwe. A £3 charge will be added to the winning bid on this item to cover postage and packaging of your bookmark by Royal Mail signed for delivery which provides insurance up to £50. 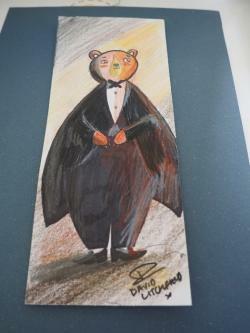 You are bidding on a unique bear bookmark designed by illustrator David Litchfield and donated by David to the Bookmark Project to raise money for Katiyo Primary School in Zimbabwe, where we are hoping to build a nursery classroom. A £3 charge to cover UK postage and packaging will be added to the winning bid of this bookmark to allow us to send you your bookmark by Royal Mail signed for service which provides insurance of up to £50 for your bookmark. 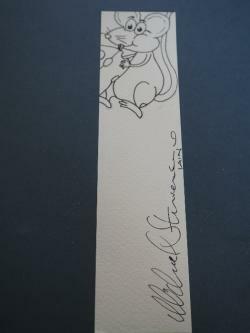 You are bidding on a unique bookmark doodled by actor, singer and BBC Pointless presenter Alexander Armstrong. The bookmark has been donated by Alexander to the Bookmark Project to raise funds for Katiyo Primary School in Zimbabwe where we are hoping to build a nursery classroom. 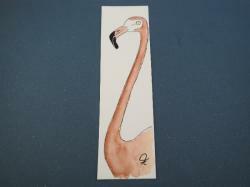 You are bidding on a unique bookmark created by artist and illustrator Diana Mayo and donated to The Bookmark Project by Diana to raise money for Katiyo Primary School in Zimbabwe. A £3 charge to cover UK postage and packaging will be added to the winning bid on this item to allow us to post your bookmark by Royal Mail signed for which provides insurance up to £50 for your bookmark. 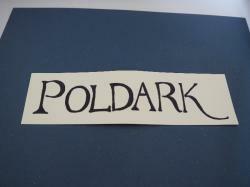 You are bidding on a unique bookmark created by BBC Poldark actress Eleanor Tomlinson and donated to The Bookmark Project by Eleanor to raise money for Katiyo Primary School in Zimbabwe where we are hoping to build a nursery classroom. 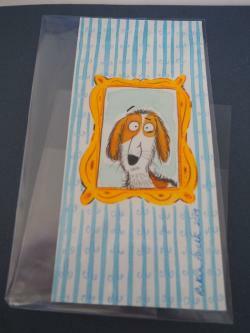 A £3 charge to cover UK postage and packaging for your bookmark will be added to the winning bid on this item. 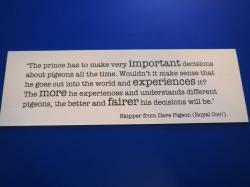 This allows us to send your Bookmark by Royal Mail signed for which provides insurance up to £50. 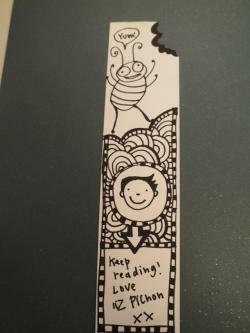 You are bidding on a unique moth bookmark created by author and illustrator Isabel Thomas. 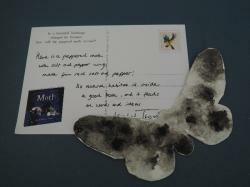 The peppered moth bookmark inspired by Isabel's book Moth has been donated to The Bookmark Project by Isabel to raise money for Katiyo Primary School in Zimbabwe. There is a £3 charge added to the winning bid on this item to cover UK postage and packaging and to allow us to send your bookmark by Royal Mail signed for providing insurance up to £50. Minimum bid is £6 (Bid increments are £1). You are bidding on a unique bookmark created by artist Frank Ebertus and donated to The Bookmark Project by Frank all the way from Germany. 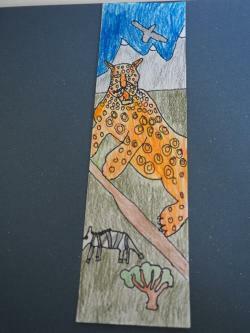 The auction of this bookmark will go to support projects at Katiyo Primary School in Zimbabwe. A £3 charge to cover UK postage and packaging by Royal Mail signed for will be added to the winning bid on this bookmark to allow it to be insured up to £50. You are bidding on a unique bookmark designed by author Lou Treleaven and donated by Lou to the Bookmark Project to raise money for Katiyo Primary School in Zimbabwe. A £3 charge to cover postage and packaging in the UK will be added to the winning bid on this item to allow us to post your bookmark by Royal Mail signed for which provides insurance up to £50. You are bidding on a unique bookmark created by author Sharon Marie Jones and donated by Sharon to The Bookmark Project to raise money for Katiyo Primary School in Zimbabwe where we are hoping to build a nursery classroom and support other projects there. A £3 charge to cover UK postage and packaging will be added to the winning bid on this item, providing your bookmark with insurance of up to £50 with Royal Mail signed for. 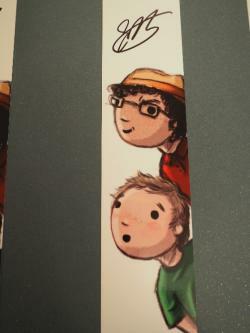 You are bidding on a unique bookmark created by illustrator Rikin Parekh and donated to the Bookmark Project to raise money for Katiyo Primary School in Zimbabwe, where it will support projects including hopefully buying mosquito nets and building a nursery classroom. There will be a £3 charge to cover UK postage and packaging using Royal Mail signed for will be added to the winning bid on this item. 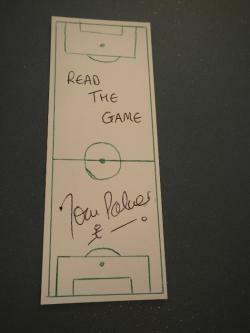 This insures your bookmark up to £50. You are bidding on a unique bookmark created by illustrator Guy Parker Rees and donated by Guy to The Bookmark Project to raise money for Katiyo Primary School in Zimbabwe. A £3 charge to cover UK postage and packaging will be added to the winning bid on this item, proving postage by Royal Mail signed for which covers your bookmark with £50 insurance. We can ship bookmarks to anywhere in the world. You are bidding on a unique bookmark created by BBC Casualty actress Amanda Henderson and donated by Amanda to the Bookmark Project to raise money for Katiyo Primary School in Zimbabwe. Amanda plays nurse Robyn in the hit BBC drama. There is a £3 charge added to the winning bid on this item to cover the cost of UK postage and packaging at Royal Mail signed for which covers the bookmark with insurance of up to £50. 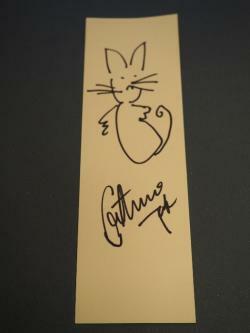 You are bidding on a unique bookmark created for the Bookmark Project by actress and comedian Catherine Tate. There is a £3 postage and packaging charge to be added to the winning bid on this item to cover UK postage by Royal Mail signed for which provides insurance up to £50 for your Bookmark. We can mail bookmarks worldwide though. You are bidding on a unique bookmark created by BBC Casualty Actor Maddy Hill, Maddy plays paramedic Ruby in the hit BBC show. 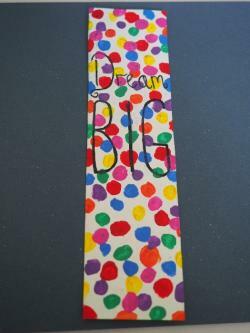 Maddy has donated her bookmark to the Bookmark Project to raise money for Katiyo Primary School in Zimbabwe. A £3 charge to cover UK postage and packaging will be added to the winning bid on this bookmark and covers postage via Royal Mail signed for which insures your bookmark up to £50. 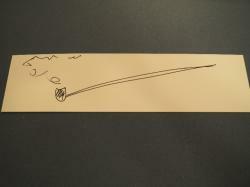 You are bidding on a unique bookmark created by actor Cath Shipton, Cath plays nurse Duffy in the BBC One drama Casualty. 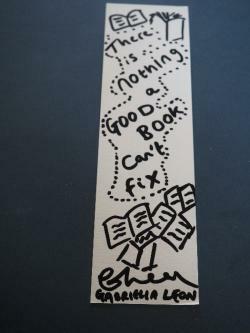 Cath has donated her bookmark to the Bookmark Project to raise money for Katiyo Primary School in Zimbabwe. A big thank you to Cath for organising the cast of Casualty to create bookmarks for our auction for the second time. A £3 postage and packaging charge will be added to the winning bid on this bookmark to cover UK postage via Royal Mail signed for which provides insurance up to £50. 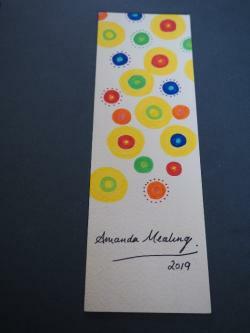 You are bidding on a unique bookmark created by actor Amanda Mealing, Amanda plays Dr Connie Beauchamp in the hit BBC drama Casualty. 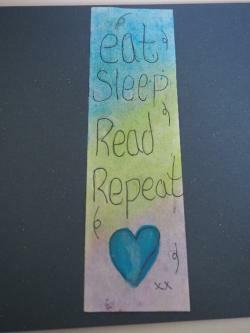 Amanda has donated her bookmark to the Bookmark Project to raise money for Katiyo Primary School in Zimbabwe. A £3 postage and packaging charge to cover UK postage is added to the winning bid on this bookmark to provide postage via Royal Mail signed for which insures your bookmark up to £50. 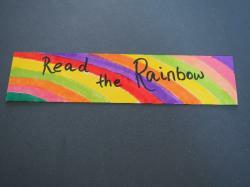 We can post bookmarks worldwide. 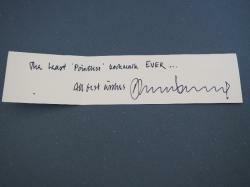 You are bidding on a unique bookmark created for the Bookmark Project by BBC Casualty actor Gabriella Leon. Gabriella plays student nurse Jade in the hit BBC show. The money raised from the auction of Gabriella's bookmark will go to support projects at Katiyo Primary School in Zimbabwe. 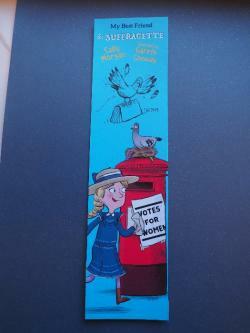 A £3 charge to cover UK postage and packaging will be added to the winning bid on this bookmark, providing postage by Royal Mail signed for which insures your bookmark up to £50. Worldwide postage can be arranged. You are bidding on a unique bookmark designed by BBC Casualty actor Mike Stevenson and donated by Mike to the Bookmark Project to raise money for Katiyo Primary School in Zimbabwe. Mike plays paramedic Ian Dean in the hit BBC drama. A £3 postage and packaging charge will be added to the winning bid on this bookmark to cover UK postage by Royal Mail signed for which covers your bookmark with up to £50 insurance. Worldwide postage can also be arranged. 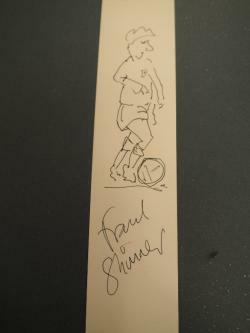 You are bidding on a unique bookmark created for the Bookmark Project by BBC Casualty actor Shaheen Jafargholi who plays Marty in the BBC drama. 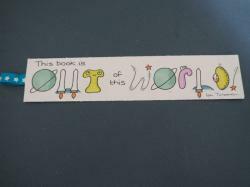 All the money raised from the auction of this bookmark will go to support projects at Katiyo Primary School in Zimbabwe. A £3 postage and packaging fee will be added to the winning bid on this bookmark covering UK postage by Royal Mail signed for which provides insurance for your bookmark up to £50. Postage worldwide can be arranged. 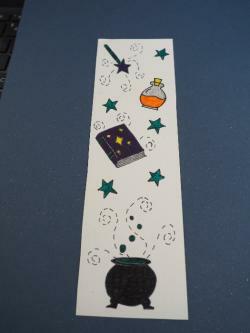 You are bidding on a unique bookmark created by the Year 6 Bookworms at Aldingbourne Primary School for the Bookmark Project. The Bookworms are: Eloise, Issie, Oscar, Ethan, Rowan, Alena, Luca, Alfie, Ruby and Zoe and they have created their bookmarks to raise money for Katiyo Primary School in Zimbabwe where we are hoping to buy mosquito nets for the children and build a nursery classroom. A £3 charge to cover postage and packaging is added to the winning bid on this bookmark to cover UK Royal Mail signed for delivery which insures your bookmark up to £50. 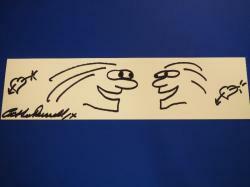 You are bidding on a unique bookmark created by actor Debbie Chazen and donated to the Bookmark Project. Debbie has been a great supporter of the project collecting bookmarks for us from other acting friends most years. She has starred in Doctor Who, Holby City, The Girls Musical and much more both on the stage and on TV. A £3 postage and packaging charge is added to the winning bid on this bookmark which will cover UK postage via Royal Mail signed for which provides insurance for your bookmark up to £50. Worldwide postage can be arranged.